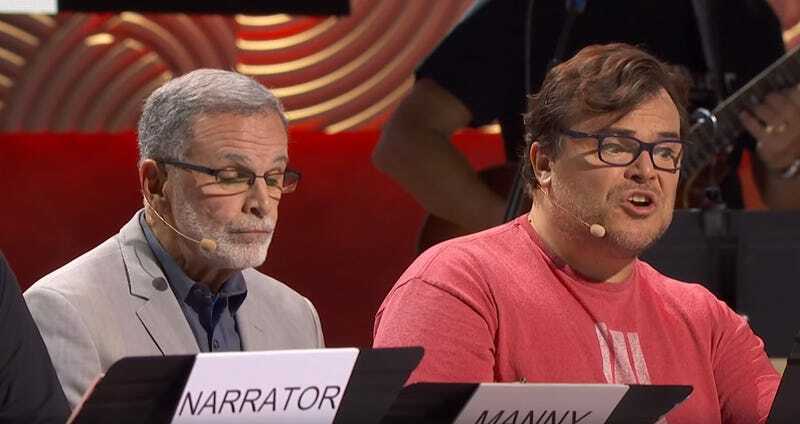 One of the absolute highlights of this year’s E3 has been the idea Double Fine had to perform classic adventure game Grim Fandango live on stage, complete with original voice actors and band. While of course they weren’t acting it out—this is E3, not Broadway—it’s still a beautiful thing to watch, with art shown behind the cast as they read and the music playing in the background. There was a point to it all of course; it wouldn’t be E3 if someone wasn’t trying to sell you something. In this case, the remastered version of Grim Fandango (and Broken Age) are coming to the Nintendo Switch.